Last month, The Guinness Book of World Records decided Currie's peppers were the hottest on Earth, ending a more than four-year drive to prove no one grows a more scorching chili. The heat of Currie's peppers was certified by students at Winthrop University who test food as part of their undergraduate classes. The record is for the hottest batch of Currie's peppers that was tested, code name HP22B for "Higher Power, Pot No. 22, Plant B." Currie said he has peppers from other pots and other plants that have comparable heat. The science of hot peppers centers around chemical compounds called capsaicinoids. The higher concentration the hotter the pepper, said Cliff Calloway, the Winthrop University professor whose students tested Currie's peppers. "I haven't tried Ed's peppers. I am afraid to," Calloway said. "I bite into a jalapeno - that's too hot for me." Now, scientists separate the capsaicinoids from the rest of the peppers and use liquid chromatography to detect the exact amount of the compounds. A formula then converts the readings into Scoville's old scale. Currie's world record has created quite a stir in the world of chiliheads, said Ted Barrus, a blogger from Astoria, Ore., who has developed a following among hot pepper fans by videotaping himself eating the hottest peppers in the world and posting the videos on YouTube under the name Ted The Fire Breathing Idiot. Barrus said Currie's world record is just the latest event in a series of pepper growers to top one another with hotter and hotter peppers. 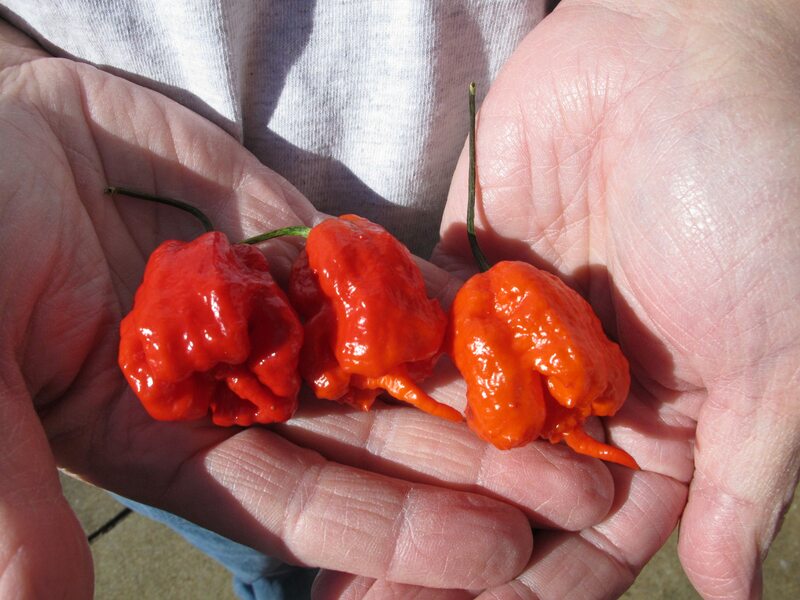 The reason people love super-hot peppers isn't much different than any other thrill seekers. Barrus talks lovingly about trying the Carolina Reaper, even though the peppers usually send him into spasms of hiccups and vomiting. "You only live once. This is safer than jumping out of an airplane," he said.